SensorTec, Inc. utilizes the highest quality MgO (magnesium oxide) insulated metal sheathed cable available in all MgO thermocouples. All cable meets or exceeds all applicable ANSI/ASTM standards. MgO insulated thermocouples have many desirable characteristics (i.e. fast response, compact size, broad temperature range, formability, weldability, durability, accuracy, thermal shock and vibration resistance). 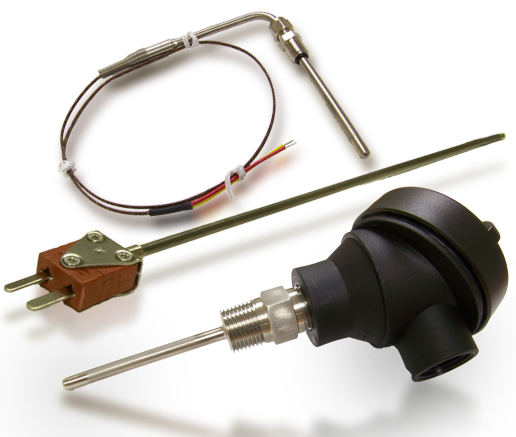 These characteristics make the SensorTec MgO insulated thermocouple an excellent choice for virtually all laboratory or process applications. The standard MgO insulated thermocouple configuration consists of ANSI/ASTM standard limits of error conductor material and standard (96%) pure insulation. Each catalog page details a variety of other configurations available.